7 Holiday Destinations in India You Can Visit During Summer ..
Summer vacation is about to over ,but still you can plan a holiday to chill out. 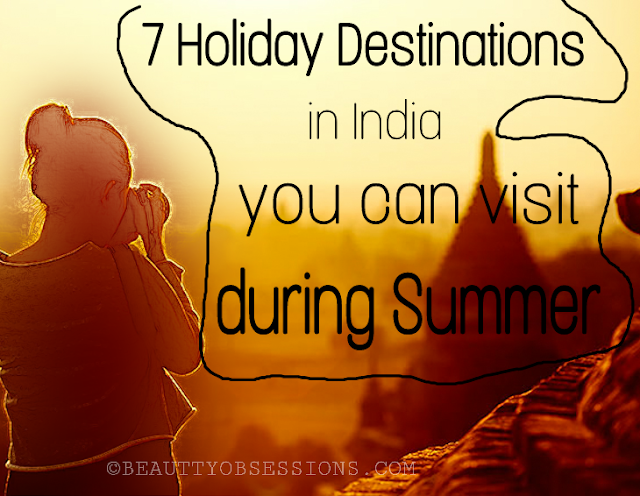 There are so many places in India where you can enjoy your summer holidays. We all are busy bees and a holiday is much needed in our life to just relax and to away from all stresses of regular life. I love traveling and exploring new places. We (me and husband) try to plan atleast two holidays in a year which is great to just relax the mind and body too. Well, here I am going to listed down 7 holiday destinations of India which are great to visit during summer. It is a beautiful destination to enjoy summer holidays . The edgy mountains, stunning lakes, great views and amazing weather is just take your vacation mood to another level . Years ago I had visited to Ladakh during summer vacation and till now I remember the amazing moments I had spent there. There are so many beautiful places to explore like Zanskar Valley, Pangog Tso Lake, Spituk Gumpa, Khardug-la pass, Hemis National Park and many more. Don't forget to spot snow leopard at hemis national park and enjoy a ride on double humped bacterian camel at khardug-la pass. The place is well connected from Jammu through air and road. 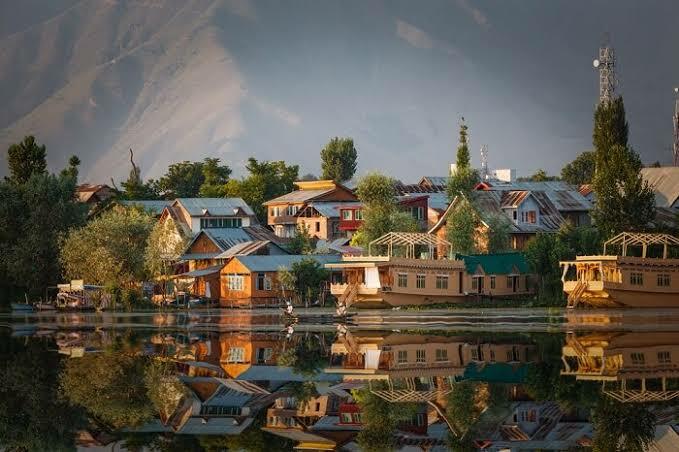 Srinagar is one of the best places to visit in Kashmir. It is heaven on earth. The greenery around and beautiful flowers makes the place more tempting. The shikara rides at dal lake is very famous. The floating gardens are also another main attraction. Except these Nishat Bagh, Salimar Bagh, Tomb of Zin-ul-abidin, Zama Masjid, Sankaracharya Hill are also some of the best places to visit in Srinagar. Also don't forget to stay in boat house, these feel amazing truely. Summer is the very appropriate season to visit Srinagar, the weather is really awesome there during this time. Manali is a very famous holiday destination as well as honeymoon destination of India. It is in Himachal Pradesh. People who love adventurous activities, also will love this place. There are so many beautiful places to explore. The view and weather is awesome in all seasons. Some of the awesome places to visit in Manali are Hidimba Temple, Himalayan Nayingmapa Gopa Monastery, Club House, Solang Valley, Jogini Falls, Arjuna Gufa , Vashisht hot-water springs . Don't forget to do paragliding at solang valley and take a deep in Vashisht hot water springs. Summer is great season to visit this awesome hill station of North India . Mussoorie is a really popular summer holiday destination. This beautiful place of Dehradun become crowded during summer time because of its awesome weather. The flowery greeny hill-y lands makes it looks like a little fairy land. So many of Bollywood movie suitings happen there only. The places of attractions are Kempty Fall, Jwalaji Temple , Landour clock tower, Gun Hill, Rajaji National Park, Library Point, Sir Gorge Everest House, Cloud's end. 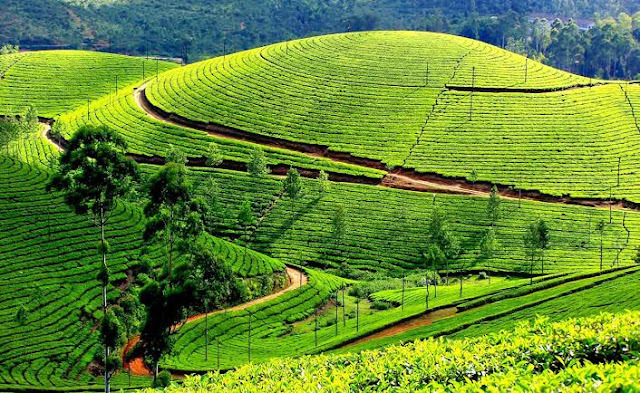 Munnar is a beautiful summer holiday destination of South India. The place is well-known for its fabulous climate, lush hills and amazing tea plantations . This beautiful hill station of god's own country Kerala will take your vacation mood to next level. If you are going to Munnar, never forget to stay in tree house, trekking to the Echo point and shikara ride in Kundala lake . Except these another visiting points are Elephant lake, Tata Tea Museum, Anamudi Peak, Chithirapuram, Devikulam, Chinnakanal, etc. It is really a beautiful place to visit. Kodaikanal is another beautiful hill station of South India . Grass lands, waterfalls, valley, forest makes this place more appropriate for holidaying during summer. This hill station is in Tamilnadu and one of the most popular place of southindia . Kodaikanal lake, Bryant park, coaker's walk, Pillar rocks, Dolphin's nose rock, Sembaganur Museum of National History and Bear Sola Falls are the places you can visit at Kodaikanal. Ooty is another hill station of Tamilnadu and is a famous honeymoon destination as well. 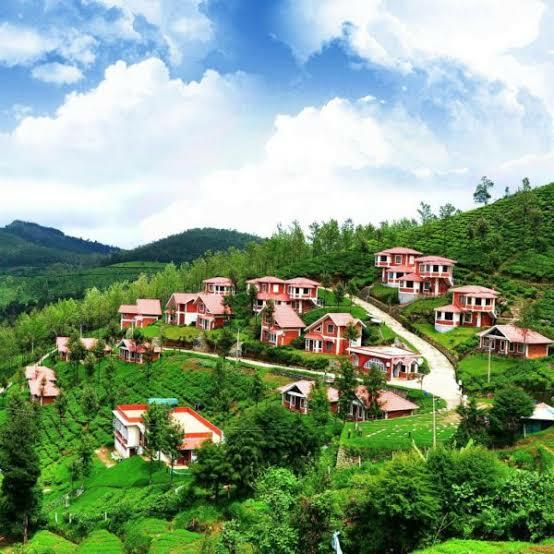 It is located in Nilgiri blue mountain hills and also very well-known as Queen of Hills. The famous toy train of there will take you through the nearby beautiful hills. There are so many beautiful places which will make your vacation memorable. Ooty lake, Emerald lake, Tribal Toda Huts, Doddabetta peak , Dear park, Upper bhawani lake, St Stephen's Church, Avalanche lake, Kalhatty waterfalls are the places you can explore in Ooty. Except the above mentioned places, there are also so many other destinations in India where vacating during summer will be pleasantfull . I have mentioned the places where I have been till now. Nainital, Darjiling, Coorg, Andaman Island, etc. are the places which are in my wishlist as well for summer holidaying . 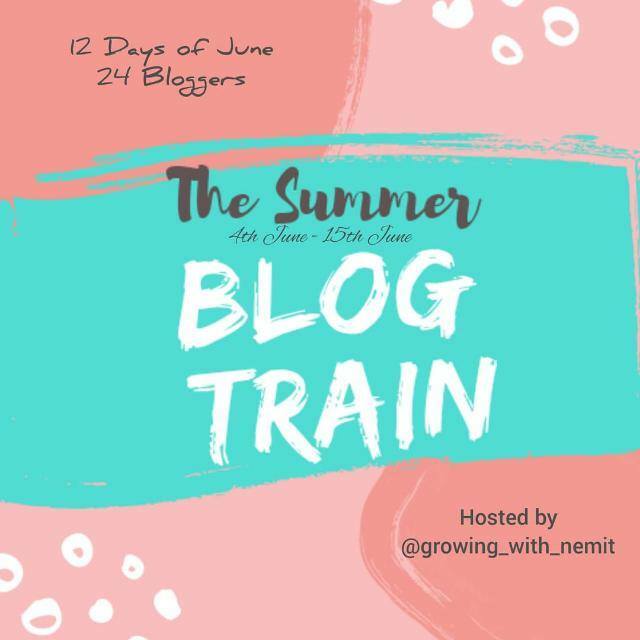 This post is a part of the blog train where 24 awe-inspiring bloggers, are going to share their story of ‘Summer’. Hop on the train to read some amazing blogs. This ‘Summer Blog Train is organized by Neha Sharma from Growing With Nemit . I want to thank Anupriya of Mommy Tincture for introducing me in her blog post. And now the train will move to the station of Disha of Life, my way blog . Do show some love to her blog post as well. Amazing post.. Munnar looks so beautiful so keeping it in my list 🤞🏻 Hope to visit soon !! Its good to know about many beautiful places to roam around in India specially during the time of summer vacation . I always feel India has so many places and diversity that it is hard to cover each and every destination. I have been to few of the places you have mentioned but would love to cover the rest as well in coming years. I really want to go to Srinagar once. Have been to Ladakh..its gorgeous! Been to only Manali from your list!! We recently shifted to a place in between kodaikanal and Munnar, waiting to visit them. Thanks for the places to visit in each destination, definitely helpful!!! All of these destinations are on my bucket list. Leh Ladakh being on priority. It's just that I am waiting for my kids to grow up a little more so that they remember the beautiful places they visit. Such a beautiful country India is. We have so many options to choose from for travelling. Loved your picks. I love to go to North East too for summers, like Sikkim or Darjiling. These are some really beautiful destinations, perfect for a summer vacation. Leh and Ooty are on top of my list. Thanks for sharing this lovely post. Yay great choices, I have visited all except ooty, shall definitely plan to visit ooty next year. Manali has always been our go to place during my childhood. That's a great compilation of places. I guess we could plan a trip to ooty sometime soon. There are many from this list that I have done already but few left and I itching to travel. Great list and excellent description, in fact after reading your post, I am feeling to take a break from all things and want to go these beautiful exotic places...among these I had visited Manali and I remember it was so beautiful. would love to visit all other places too..
OMG hills and mountains! I love hill stations more than anything else. Darjeeling is a must-visit for us Bengalis every year to escape the tremendous heat! Just visited Munnar a month back. Just loved the weather and spectacular view. Ladak is been in my bucket list. Hope for visiting Ladak very soon. I am yet to visit Ladhak amongst all the mentioned places. Srinagar is my personal fav. This is my dream list. I have been to two places out of these but remaining ones are worth enjoying. Munnar will be my next go to place for vacation. Loved this list.. I have my favorite Coonoor. It is literally heaven on Earth. Lovely list of places. All of them are natures beauty at it's best. 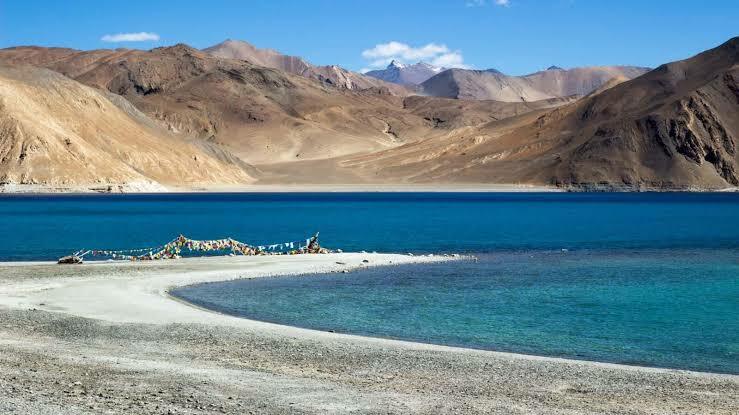 Ladakh has been on our bucket list since a long time. Wish I could beat this heat and get away to a hill station on a vacation.